A new study by the federal Justice Department has found that tougher sentences don't appear to prevent the majority of Canadians who have been convicted of impaired driving from committing the offence again. An internal report by the federal Justice Department raises doubts about the effectiveness of some harsher sentences, the linchpin of the Tory government's tough-on-crime policies. The study examined almost 3,300 people convicted of an impaired-driving offence, and found 57 per cent of them offended again at least once, within five years on average. And the severity of the first sentence had no impact on the behaviour of repeat offenders. "There was no evidence to suggest that the imposition of a fine or imprisonment had any effect on the likelihood of whether an offender would re-offend or not," the author concludes. "This indicates that the severity of the sentence received did not deter offenders in this sample." "Reconviction rates for all individuals were similar regardless of the sentence received for the initial impaired driving conviction." The research was delivered in July this year, more than three years after the Conservative government passed a tough law that imposed harsher fines and jail sentences, including mandatory minimums, for impaired-driving convictions. The Canadian Press obtained a copy of the study, "Recidivism Among Impaired Drivers" by Andre Solecki, under the Access to Information Act. The research covers the period from 1977 to 2006. The study is among dozens of internal reports on the justice system prepared each year by department researchers but never published or made public. A spokeswoman for the department provided no details about why the research was ordered. But the review follows the passage in 2008 of an omnibus bill, the Tackling Violent Crime Act, which revamped penalties for drunk driving, among other tough-on-crime measures. 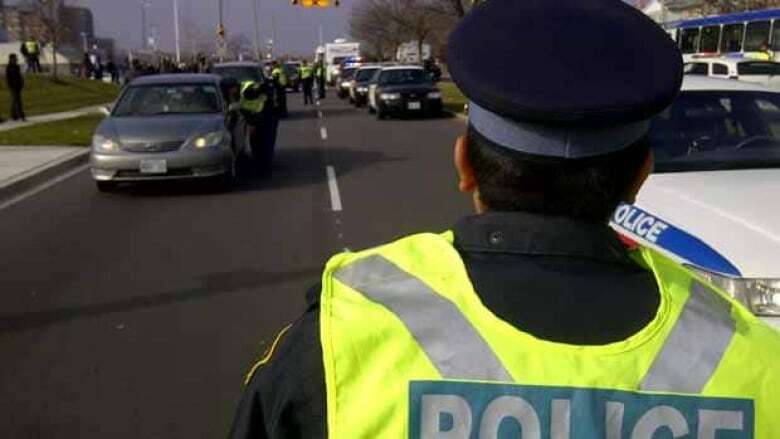 The minimum fine for a first impaired-driving offence was raised to $1,000 from $600, for example, and the minimum penalty for a second offence increased to 30 days in jail from 14. The minimum for subsequent offences was hiked to 120 days from 90 days. And for summary convictions, with no jury trial, the maximum jail time shot to 18 months from six. Conservative crime policies have come under fire from critics who claim the government ignores evidence-based research to seek political gain among Canadians who lack faith in the justice system. So a Justice Department-ordered study that draws on a statistical analysis of crime and punishment appears at odds with the Conservative's crime-fighting philosophy, especially considering its apparently contrary findings about harsh sentencing. A spokeswoman for Justice Minister Rob Nicholson did not respond directly for comment on the study's conclusions about tougher penalties. But Julie Di Mambro defended measures taken under the Tackling Violent Crime Act, which ended the "scandal" of loopholes that allowed some drunk-driving offenders to go scot-free. "Minister Nicholson routinely travels across Canada to meet with his provincial counterparts and to get expert advice from police, victims and organizations that deal with crime first hand," she said in an email. "Canadians can count on our government, under the leadership of Prime Minister Stephen Harper, to continue to crack down on crime and ensure the safety and security of our communities." A spokesman for Mothers Against Drunk Driving, or MADD Canada, said the study's findings about the large number of re-offending drivers is at odds with other research, which suggests only about 30 per cent are convicted again. Andrew Murie also noted that some data in the Justice Department report stretch back more than three decades, and that laws around impaired driving have changed dramatically in the meantime. In any case, MADD has never pressed for tougher sentences, he said in an interview. "Forget about the penalties — do the things that stop it at the front end, like random breath-testing, that create the appearance that if you drive while drinking, you're going to be caught. And if you look worldwide, that's what has worked," he said. "We've always said we don't think that extra time in jail is going to work. Give them rehab, give them help for their alcohol problem — that's going to have much more success." Some skeptics of American tough-on-crime policies have raised similar doubts about the efficacy of severe prison sentences, calling instead for more policing to improve the odds criminals will be caught. "If people mostly get away with (crime) but occasionally get creamed, they're going to keep doing it," Mark Kleiman, a professor of public policy at UCLA, has said. P.O.V. : What's the most effective way to curb drunk driving?